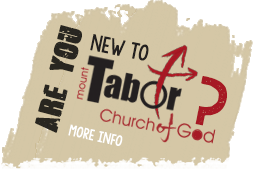 Mount Tabor Church of God, Celina, Ohio – Reaching Out. Building Up! MTCOG is a group of people on a journey with Jesus. We don’t claim to have it all figured out and understand that each of us is at a different point in that journey. We want you to be drawn closer to God in worship, Biblical teaching and community. Our purpose is to be a church that changes lives through Christ while reaching out and building up. Whatever your thoughts on church may be, whatever your beliefs about God are, just come as you are. God is for you… and so are we! See you soon.